Getting expert help is essential when planning your expedition cruise to an isolated destination on the far side of the planet. I can think of no other form of travel where expert advice and assistance in planning and undertaking your trip is so vital. 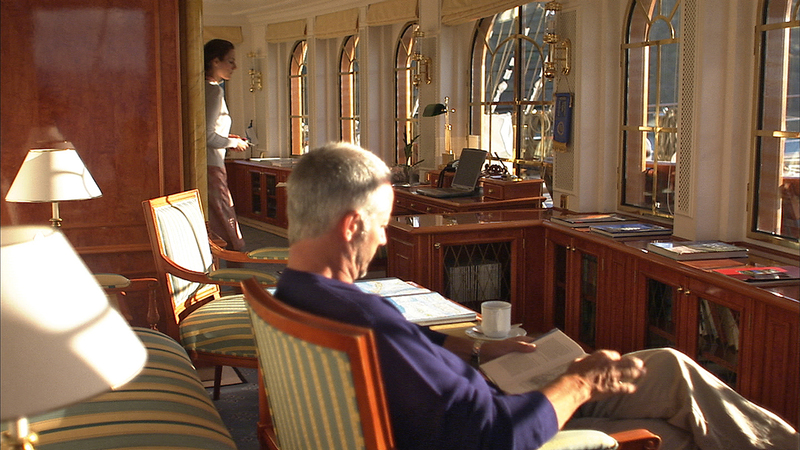 But, just making that 2:00 PM boarding time on an expedition cruise can be quite an undertaking. These voyages often involve complicated airline bookings and transfers and the experts at Expedition Cruise Specialists go out of their way to ensure it all runs smoothly. 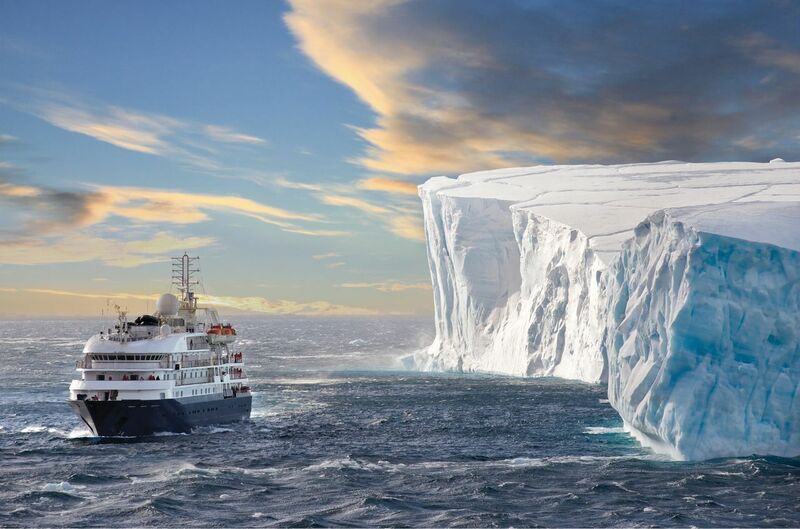 The other major factor is that Expedition Cruise Specialists are able to hand pick the very best ships and expedition cruise itineraries available worldwide. They use their expertise to give you “the best”. Once you get aboard these ships and settle in, you will be enjoying and experiencing the very best that expedition cruising can offer. If you book directly with an overseas operator, you have the problems of language differences, currency, “extra costs”, priority bookings, cabin allocations and peace of mind to worry about. Booking the trip of a lifetime should be enjoyable and relaxing from the start, not fraught with persistent concerns about whether it is all going to "work". As a professional travel writer with 30 years experience in circling the globe, I can testify first hand to the need for expert advice and assistance. If you place yourself in the hands of a tour operator overseas, even the simplest plans can go awry. For example, a tour operator in the Caribbean arranged for me to fly into San Juan, Puerto Rico at 8:00 PM one steamy night in May. My ship wasn’t due to leave until midnight, which seemed to give me plenty of time to get to the wharf. The only problem was, nobody could find my luggage. I was speaking English to people who only spoke Spanish. There was lots of arm waving, yelling and people running madly about looking for my bags. Finally, I had to leave and head for my ship and sail without my bags. Luckily I carry my camera gear in a carryon bag, so I could still do my work. The bag turned up overnight and was flown to my first port of call which averted a disastrous trip. I can give you a thousand stories on what can go wrong if you leave yourself in the hands of an overseas operator. Suffice to say, I never travel these days unless the trip is organised by experts that I trust. 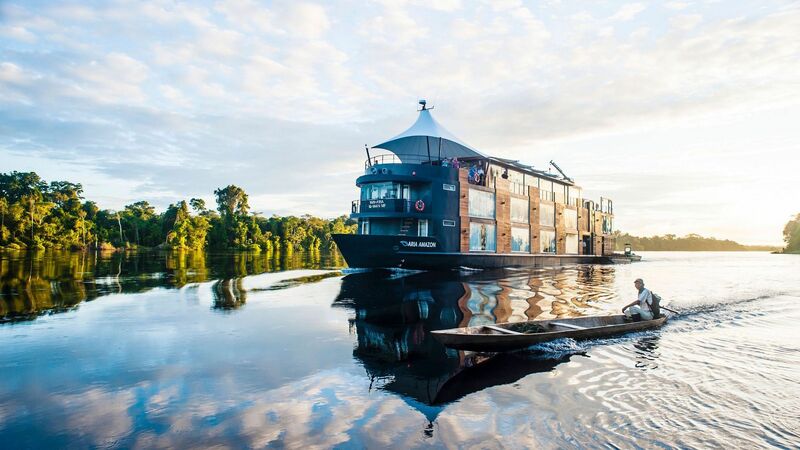 Now, I could be regarded on something of an expert on world travel, but the amount of information I could provide you with is nothing compared to the expertise available from people like Vicki Briggs and Andrew Castles at Expedition Cruise Specialists. 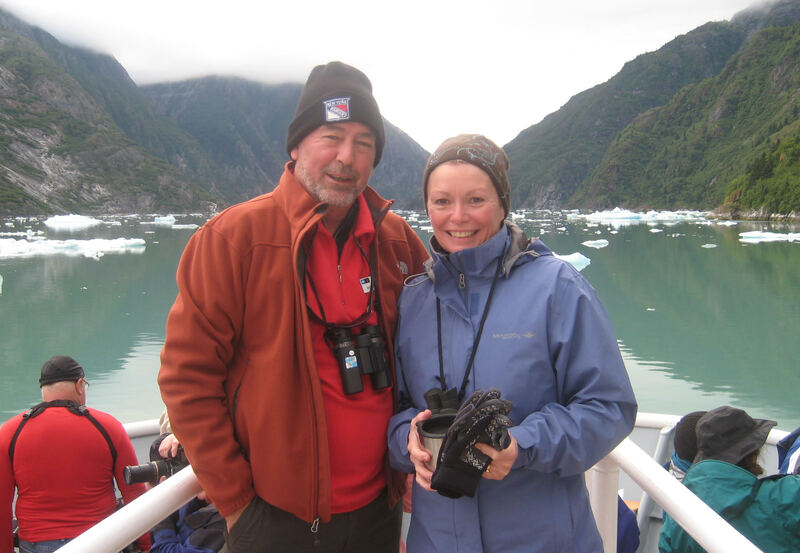 Vicki and her husband Tony founded and operated Australia's original expedition cruise line - Coral Princess Cruises - for almost 34 years and now through Expedition Cruise Specialists they're making their expert advice and insider knowledge available to you. They know so much about this type of cruising that you would be crazy, not to work with them in planning your cruise. 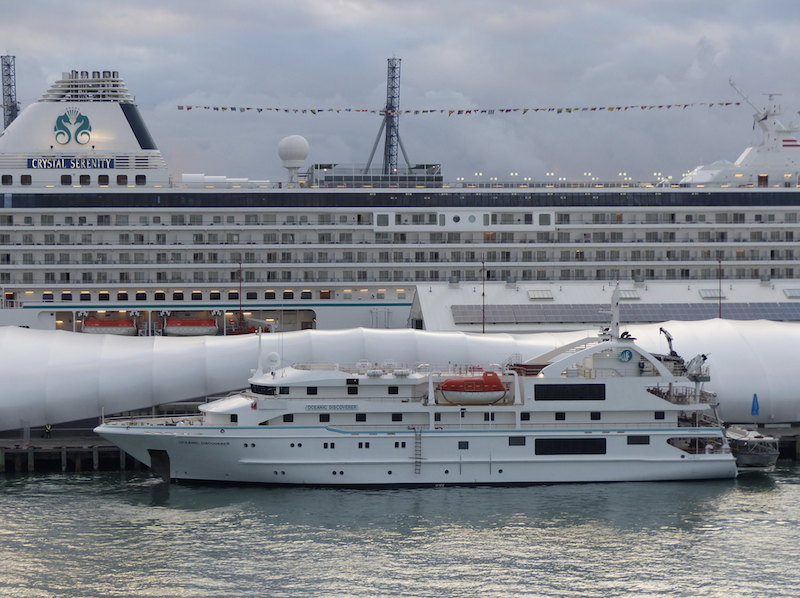 I am often asked by cruise fans to explain the difference between expedition cruising and normal cruise ships. I then go into a long monologue about the joys of expedition cruising, but it mostly seems to fall on deaf ears. You see, these are “normal” cruise passengers who believe the Isle of Pines or Mystery Island are about as wild and isolated places as you can ever visit on a cruise. I doubt they will ever take the plunge and go on an expedition cruise. And mores-the-pity, because in their ignorance they are missing out on so much. 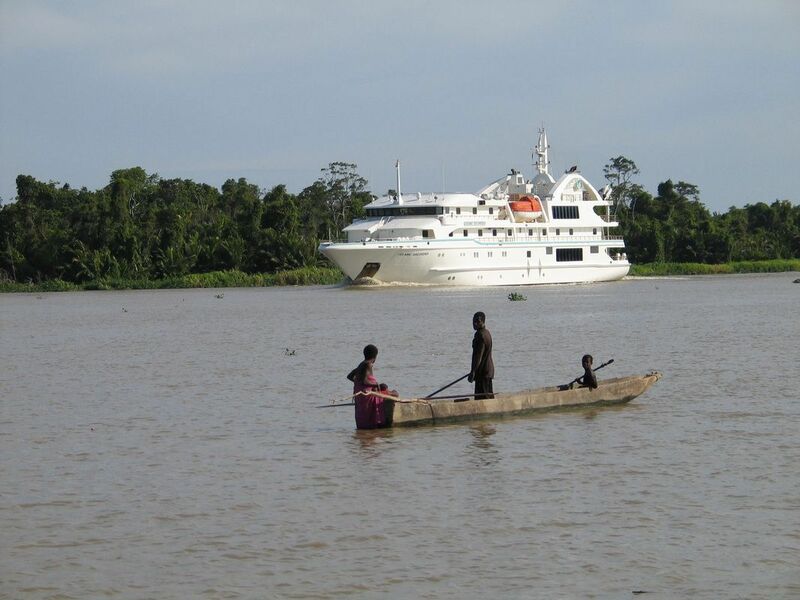 Expedition cruise ships are, by necessity, much smaller and compact than major cruise ships. They lack the bars, spas, water parks, shops and vast entertainment and restaurant venues of “normal” cruise ships. However what they lack in size, they make up for with luxury and exclusive features. If you click your way through our website you will quickly get an idea how luxurious these boats are. I always explain this type of vessel as: “like having your own private luxury cruise ship”. They are designed for community cruising, they are laid back and friendly and it is always easy to find a chair at a table on the back deck and join in the conversation. 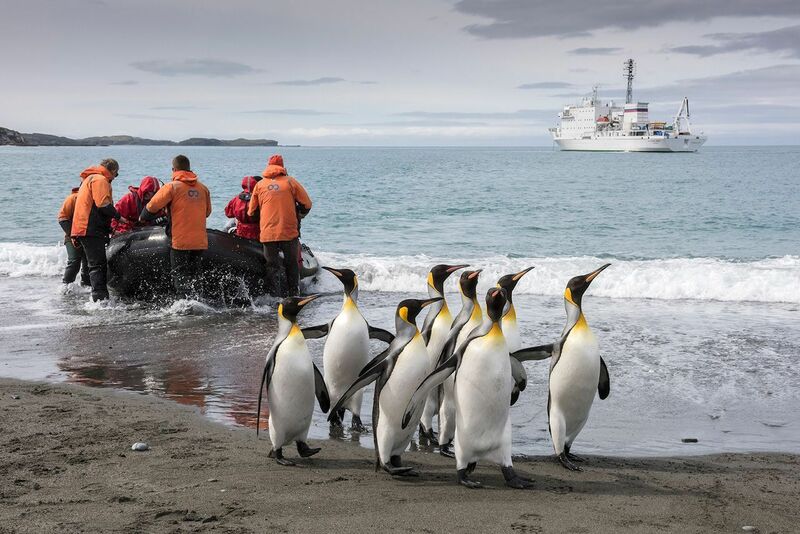 Expedition cruise operators know what their guests are seeking and they provide that unique experience for them. 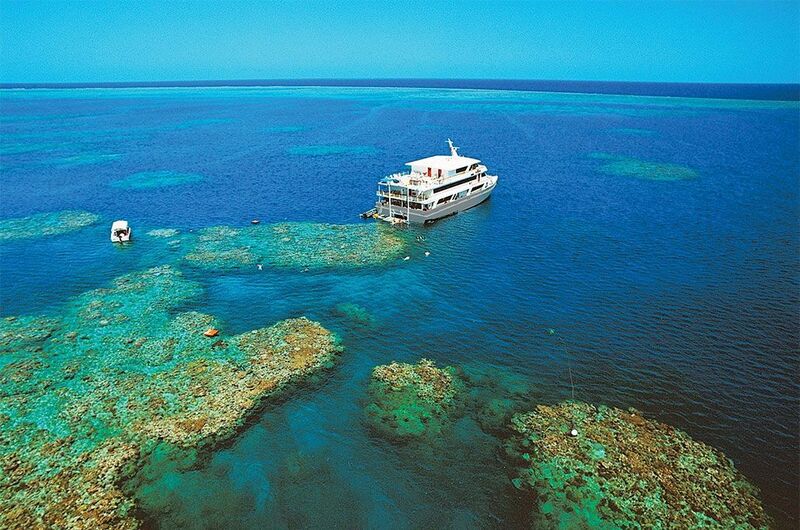 Clients on board expedition cruise ships as a rule love to join in activities and love to explore and discover. They are self reliant people who are more interested in learning and being participants than sitting back and being entertained by Broadway shows. Their “entertainment” is provided by the lecturers, historians and naturalists who accompany each cruise. I find this laid back, exclusive type of cruising to be very intoxicating. You can nip down and make yourself a cup of coffee. Within a couple of minutes you are deep in conversation about the day’s exploring with a fellow adventurer. There are no crowds, no queues, no pushing and shoving or standing for hours waiting to get off the ship. When the time comes to go ashore, you simply walk down and sit in the explorer boat or zodiac and you are whisked away to some exotic mysterious destination. 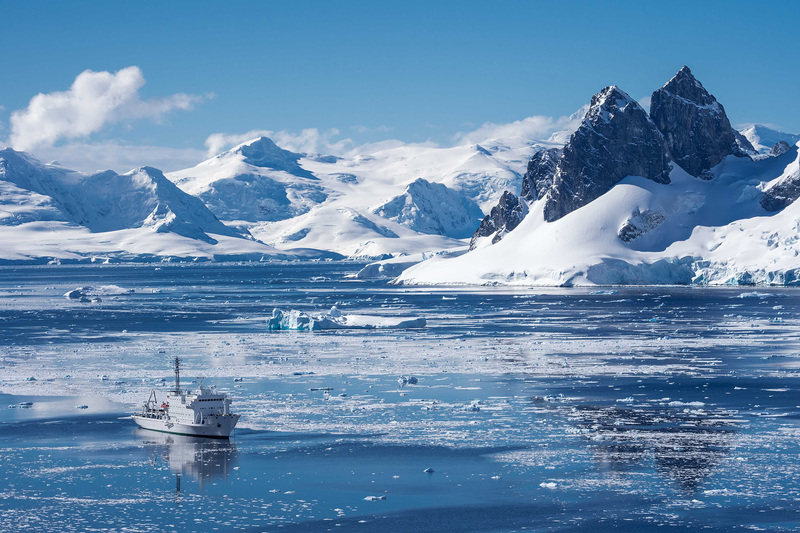 Expedition cruising as a tourist activity started back in the 1960s when Swedish American Lars-Eric Linblad chartered ships from scientific and government sources. He took them to the most isolated areas of the world including Antarctica. This gave travellers a unique insight into places they could only dream about visiting in the past. And they were so successful that he was able to order the construction of a small ship which could travel to all parts of the world in reasonable comfort. This was the Lindblad Explorer and it became the trendsetter in adventure cruising. To use an old saying: “he never looked back”. Lecturers and experts loved this type of cruising because they were able to share their expertise and spread the word while travelling along in relatively luxurious conditions, a far cry from some of the old spartan scientific vessels of the time. So, if you have undertaken normal cruise ship holidays and find something lacking or you are looking for a more exciting fulfilling adventure, try expedition cruising, it will change your life forever. Traditional dancing is the national pass time in Papua New Guinea. Mass drums, bamboo xylophones, whistles and cacophony of sound overtake you as the dancing begins. Then comes an amazing performance of waving arms and legs all choreographed into a visually, stunning display. Divine costumes and head ware worn by locals all add to the excitement. The dancers range from the elderly right down to young children who are being educated in the local traditions. They are fully absorbed in dances that tell the story of their village their region and their life. 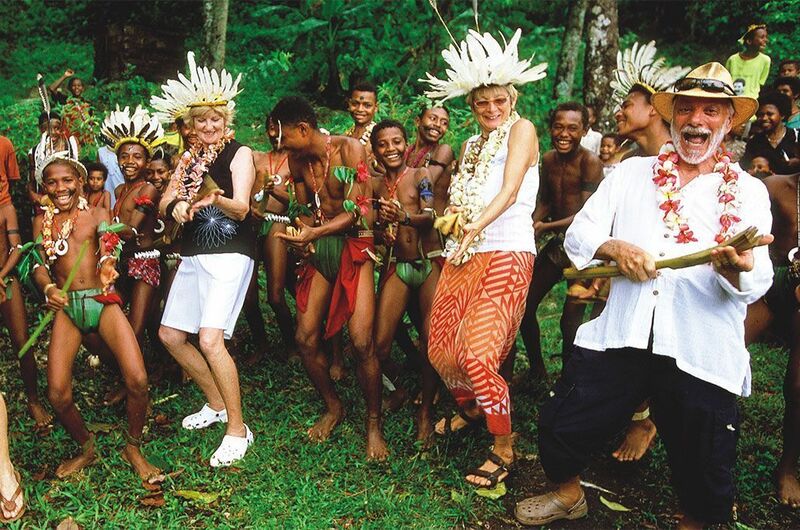 On virtually every island, you will be greeted by traditional dances. The strange thing is, no two dances are the same. The islands may be close together but because they were so isolated in the past and, to some degree, still are isolated, they have managed to develop performances that are unique to each region. Leaving the harbour at sundown with the mighty sunset painted in a multitude of stunning reds, oranges and purples was possibly the greatest departure of my career. Next day we arrived at remote St Michael's School just off the coast of New Britain and it is here that I fell in love with PNG and its people. They were genuinely excited to see us, to dance with us and to share everything they had. The elaborate headware had to be seen to be believed. If you are really keen to cruise PNG may I recommend our New Guinea packages now available from Expedition Cruise Specialists. You can talk to one of our experts to gain valuable insights into the various packages available. 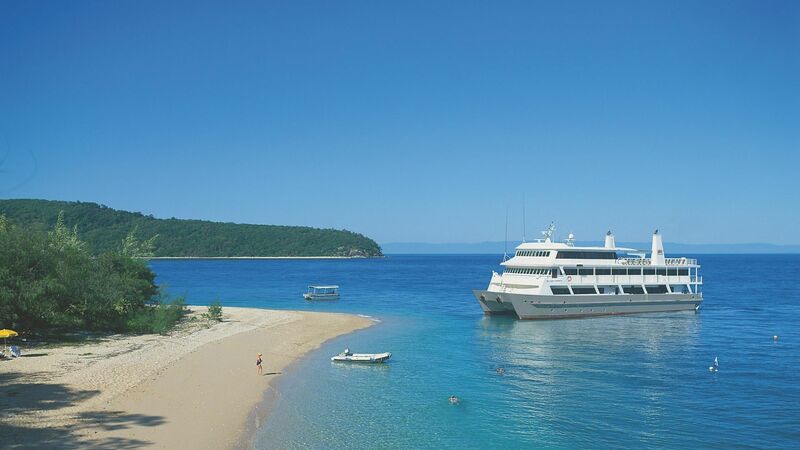 The next departure is a 12-night Papua New Guinea Frontier Lands expedition aboard Coral Discoverer departing Cairns for Rabaul on 4 October 2017.